AT40 (T2108) broke out…and continued its pattern of higher highs and higher lows. The S&P 500 (SPY) gained 0.8% after fading a bit from 50DMA resistance. The good news is that the index is actually managing an upward bias since its last test of 200DMA support. 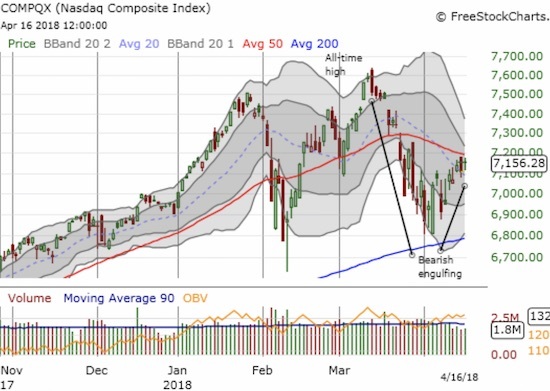 The Nasdaq gapped up right to 50DMA resistance on Friday. On Monday, the Nasdaq gapped up again but stopped cold again right under 50DMA resistance with a 0.7% gain. 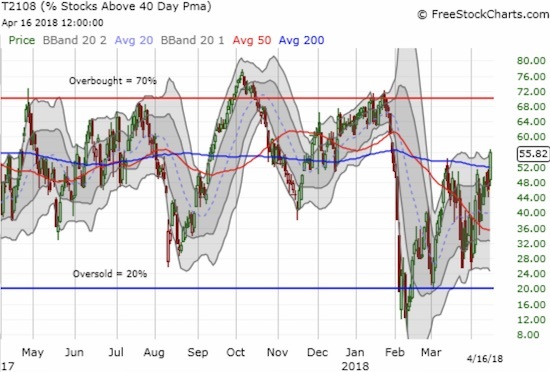 The price action for the PowerShares QQQ ETF (QQQ) was similar to the Nasdaq but a test of 50DMA resistance has yet to quite occur. 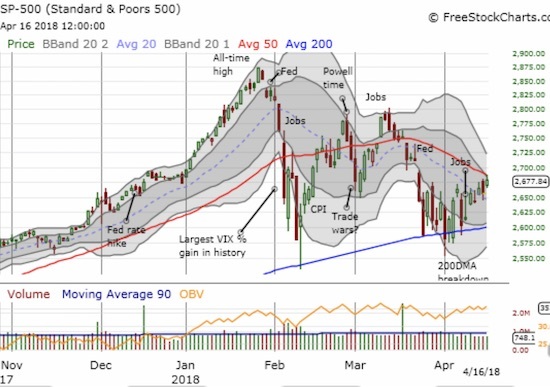 The S&P 500 (SPY) is facing down a critical test of 50DMA resistance. The Nasdaq is facing its own test of 50DMA resistance. 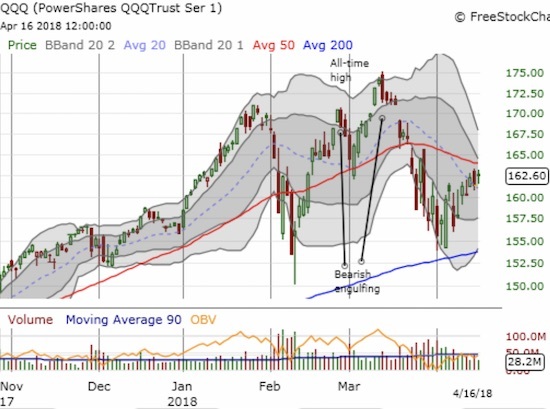 The PowerShares QQQ ETF (QQQ) is also trying to end the churn with an upward push toward 50DMA resistance.